Even with the housing market being in a state of recovery, many homeowners are still in a distressed situations. Foreclosure is a legal process and one that results due to a homeowner defaulting on their mortgage obligation. Simply put, any homeowner that falls behind on their mortgage payments runs the risk of facing a foreclosure. Each homeowner should be aware of the process of foreclosure. When a lender forecloses on a home, they do so to regain legal ownership of the property. The property title will be transferred to the lender through the foreclosure process. The lender then has the rights to sell the property and to recoup debt owed by the borrower. There are two types of foreclosures a homeowner may face- judicial and non-judicial foreclosure. Which type may be filed against you will depend on the state where the property is owned. Time separates the two processes. A judicial foreclosure takes about 12 to 18 months, while a non-judicial foreclosure takes about 4 – 12 weeks. A judicial process issues mortgages, while a non-judicial process issues deeds of trust. In a judicial process, the title of ownership remains with the borrower, and in the non-judicial, the deed of trust remains with the lender. This is the reason for the time difference. With a deed of trust, the title to the property is held by a trustee until the homeowner has repaid the loan in full. Should the homeowner fail to meet their mortgage obligation, then the trustee will file a “Notice of Default”. There is a holding period during this time, and once it expires, the trustee will the post a “Notice of Trustee Sale. This notifies the public that the property will be auctioned off. The post will show in the classifieds and any other methods the trustee chooses. During this time, if the homeowner wishes to retain ownership of their property, they must pay their lender the past due amount owing on their mortgage loan. If they fail, the property will then be placed up for auction. A mortgage loan is a legal contract that the lender and borrower enter into when the borrower obtains the mortgage loan. The contract is used as collateral in the event that the borrower fails to pay their mortgage obligation. When a borrower falls behind in their payments, they will typically receive notices from the lender, alerting them to the situation and asking them for information as to why they are late on their monthly mortgage payment. Should the borrower and lender not be able to work a repayment plan out or the borrower neglects to discuss their situation with the lender, the lender will then begin the foreclosure process. Once the foreclosure process begins the lender will hire an attorney who will then file a number of documents, including a lis pendens, which is a public notice alerting the public that action is pending on the property. If the borrower fails to respond during this time, the attorney will inform the court of the situation. Once this occurs, the judge ill the issue a Judgment of Foreclosure and Sale and the property will go up for auction to the public according to local statutes. There are a number of opportunities a borrower will have leading up to the foreclosure process. Prior to the foreclosure process, there is what is called a pre-foreclosure period. This is the period where the lender offers the borrower the opportunity to work with them to repay their past due mortgage debt. If the borrower and lender fail to work out a repayment plan, or the borrower fails to get current with their debt, they may still have the opportunity to sale the home. There are also different foreclosure options a homeowner may consider, like refinancing the loan or a loan modification. When a home goes up for auction, the auction is open to the public. During this time in the foreclosure process, the borrower has failed to meet their past due mortgage obligation, therefore, defaulting on the loan. Once the home has sold at public auction, the rights of the property are then transferred from the homeowner / borrower to the lender, provided the minimum bid for the home is reached. The last stage of the foreclosure process is when the home goes up for sale at a public auction. When the home is auctioned, the borrower has defaulted on the property and the new property owner will be the highest bidder. The proceeds of the sale of the home go to the lender who initiates the foreclosure, who is typically the lender that holds the first mortgage if the borrower has more than one mortgage. If the property is auctioned for more than what is owed on the mortgage, after the lender recoups the mortgage debt, and any additional funds will go to paying other obligations associated with the property. If after this, any funds remain, the homeowner will then receive what is left. If you are a home buyer that would like to purchase a home up for auction, prior to placing a bid on the property it is critical to perform a property title search first. This cannot be stressed enough! The reason for this is because a property title search will alert you to any judgments or liens against the property. This is something that you should be aware of. When a foreclosed property is up for auction and you bid on the property, you will need to have your financing or funds ready in order to be able to purchase the property. If you are the winning bidder on the property, the bank will require you to immediately put down a five to 10 percent down payment on the home and from there you will be required to pay the remaining balance within a few days. Therefore, it is essential that you have your financing or cash in order. Any home buyer interested in purchasing a foreclosed home up for auction should be familiar with the auction process. It is recommended that you first attend two or more public foreclosure auctions. You’ll find that the auction can be fast paced, and you must be organized, as well as keep your emotions and composure under control. Otherwise, you may find that you get caught up in the moment and overbid on the property. When the auctioneer opens the bid, the amount is predetermined by the trustee. This amount is the amount owing on the property and any judgments, liens and fees. If no attendees to the auction bid on the property, the lender will then take the property back, holding onto it for future sale. Prior to the start of the bidding, the trustee will read a legal description of the property, and state the terms of the sale. Before the bidding begins on the property, a legal description, as well as the terms of sale for the property, will be read by the trustee. Once the property is sold to the highest bidder, there is what is called a Redemption Period which is a timeframe that allows the property owner to come up with the funds to purchase the property back. When a bank holds a foreclosed proeprty, it is because the property failed to sell at public auction. When this happens, home buyers have another opportunity to purchase the home, which may be another great opportunity to purchase a home below market value. When the ownership is transferred to the bank, the bank becomes the legal owner of the property. 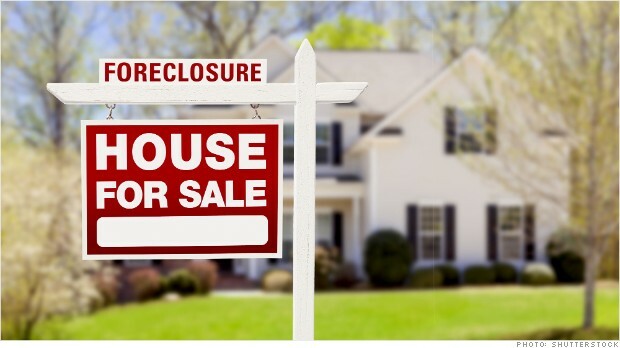 When this happens, the homes are classified as Bank Foreclosure Properties or REO Foreclosure Properties. The opportunity here for home buyers is that foreclosed homes sitting on their books do nothing but cost. They have maintenance, property taxes, and so on to be concerned with. They are also not in the business of selling homes. Therefore, a home buyer can pick up a good deal on a Bank Foreclosed Property. There are may reasons a bank may have to sell a property. Let’s take a look at a few main reasons why a bank may want to sell a bank owned property quicky. When a home fails to sell at auction, the bank takes possession of the home. When this occurs, the home becomes non-performing asset. What this means, is the home is not generating profit, but only accumulating cost. Banks are not in the business of property management, but in the lending business. Therefore, banks really don’t have any reason to hold onto the property, and a buyer can get a good deal. The costs to maintain the property are an expense. 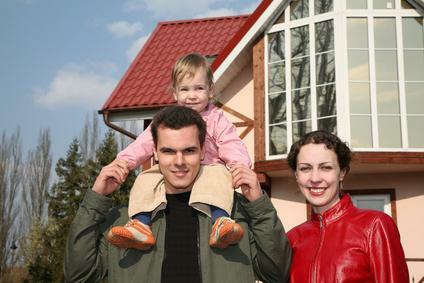 The bank is responsible for property insurance, property taxes and maintenance expenses. The longer the bank holds the property, the longer the need to sink money into the home. Therefore, it is in the bank’s favor to dispose of the property. The bank also faces the risk of proeprty damage. The home is vacant, and they must also deal with weather conditions, which can result in damage. Buying a foreclosed home from a bank includes both pros and cons. Pros in buying a foreclosed home include a clean title on the property. This means any encumbrances or liens will have been resolved. When the bank sells the property, they are selling it with no additional costs that go along with it. Another pro is that banks do have a large volume of foreclosed homes on their books and banks have a tendency to be more flexible with the terms and conditions when selling the properties. There are cons that go along with buying a bank held foreclosed home, as well, with the main con being that there is more competition on the home. When this happens the price can go up. If you are interested in bank owned foreclosures, it is in your best interest to form relationships with local banks. Although there is no guarantee that this will give you an edge over other home buyers, it does help to increase the odds. Also, if you have a stellar credit rating, be sure that the bank is aware of this.